Pimm’s is Englands number one choice when mixing up a delicious summer drink. 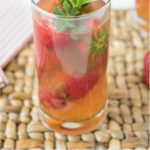 This Pimm’s Strawberry Mint Cocktail is cooling, refreshing and perfect to get you through the sunny season. With summer sadly drawing to a close, I thought I would share a little taste of a British-inspired cocktail. On a recent trip back to the UK, as I was strolling around Heathrow airport in the duty free (as you do) I picked up a bottle of a classic British drink, Pimms. Pimm’s is a gin-based, liquer-type alcoholic drink that is best enjoyed mixed. It is dark reddish-brown in color and floral in flavor with hints of spice, so any fruit-based juices will pair very nicely. The Pimm’s No. 1 cup is the most popular drink and enjoyed all summer at many events around the country. Other Pimm’s varietals include No. 3 winter cup, No.6 vodka cup, blackberry & elderflower and strawberry with a hint of mint. I always make sure I pick-up a bottle when I am visiting family back in England so I can enjoy a little bit of home when the weather is warm. Pimm’s is also available here in the U.S. If you’re lucky enough to find yourself at Wimbledon tennis tournament, you’ll undoubtedly find yourself sipping on Pimm’s No. 1 cup as it is the official drink of the event while snacking on strawberries and cream. I have that recipe, along with the history of Wimbledon that you can find by clicking here. I designed this cocktail based on the popular Pimm’s No. 1 cup which is 3 parts lemonade to 1 part Pimm’s. This recipe starts with blending fresh strawberries with fresh mint leaves and lemonade. In place of ice cubes, I freeze fresh strawberries which serves 2 purposes. They keep the drink cool without watering it down and it makes for an elegant presentation. The blended strawberry and mint, Pimm’s and lemonade is all shaken with ice and served in a tall glass. If you don’t find yourself at an elegant British event, not to worry. 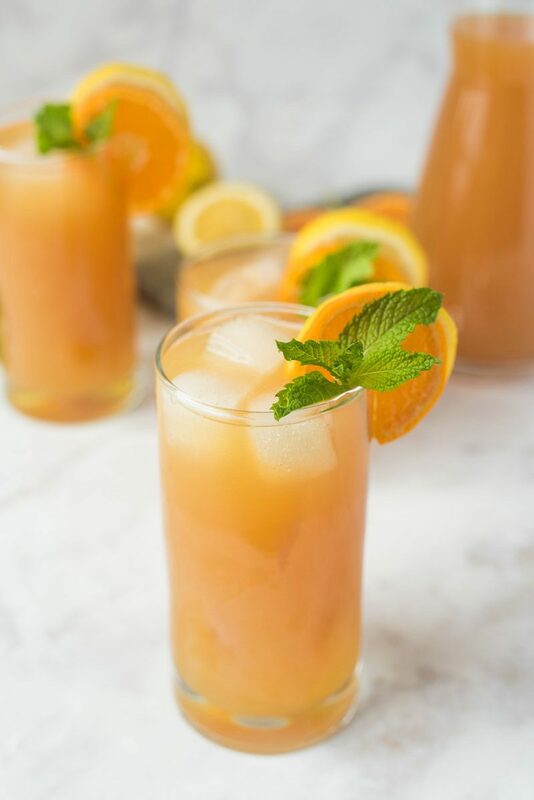 This drink is perfect for those balmy nights on the porch, or cooling off by the pool. This is not a sponsored post and I have not been paid to endorse this product, I just wanted to bring a traditional British drink to this side of the pond. If you’ve tried this Pimm’s Strawberry Mint Cocktail or any other recipe on the blog then don’t forget to rate the recipe and let me know how it turned out in the comments below. I love to hear from my readers! Pimm's No. 1 is mixed with fresh lemonade and fresh mint. Freeze 14 strawberries for 2 hours. Blend the 6 remaining strawberries, 2 ounces lemonade and mint in a blender until smooth and strain. Fill 2 tall glasses with the frozen strawberries. Fill a shaker with ice and add Pimms, strawberry juice (there should be 4 ounces, add more lemonade if needed) and 8 ounces lemonade, shake. Pour over the frozen strawberries and garnish with fresh mint. 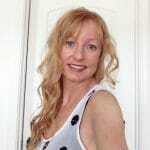 This recipe first appeared on Real Housemoms, where I am a contributor. I had a Pimm’s cup last year when visiting England and I must say it was delicious. I can’t wait to give this version a try.